MOSCOW, February 1. /TASS/. 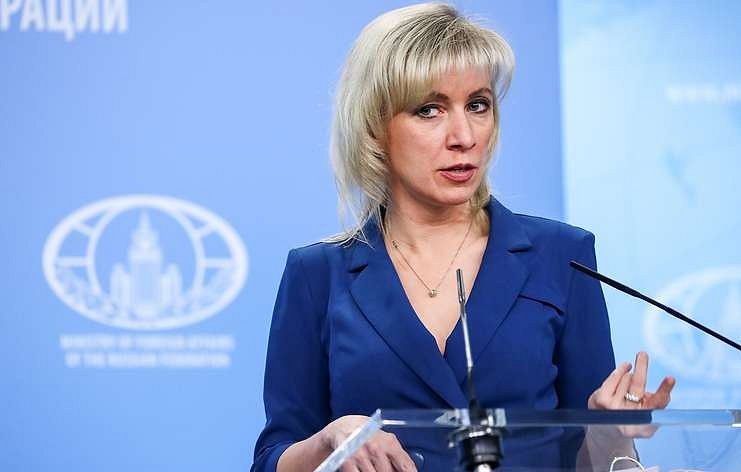 Moscow reserves the right to take measures to respond to Washington’s suspension of its obligations under the Intermediate-Range Nuclear Forces Treaty (INF Treaty) from February 2, Russian Foreign Ministry Spokeswoman Maria Zakharova said on Friday. "Moscow reserves the right to a corresponding reactions and response measures [following the US’ withdrawal from the INF Treaty]. Naturally, it will be done," she said in an interview with the 60 Minutes program on the Rossiya-1 television channel. "As a matter of fact it is only a part of America’s general concept of breaking down and abandoning a great number of international agreements," she said. "So, it is not about Russia’s guilt of violating this treaty, it is not about China or any other factor of international security. It is about the United States’ strategy of waiving international liabilities in various spheres.". US President Donald Trump and Secretary of State Michael Pompeo said earlier on Friday that starting from February 2 Washington was suspending its liabilities under the INF Treaty and would quit it in six months if Russia fails to comply with its demands. US President Donald Trump said on October 20 that Washington would withdraw from the INF Treaty because Russia was violating the terms of the agreement. 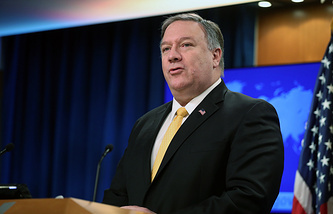 US Secretary of State Michael Pompeo said on December 4 that his country would stop fulfilling its liabilities under the INF Treaty unless Russia returned to "full and verifiable" compliance with it within 60 days. Russian President Vladimir Putin said on the following day that the US side had provided no evidence to prove Russia’s alleged violations of the treaty. He stressed that Russia is against dismantling this treaty but will have to react correspondingly if the United States withdraws from it.